Ice hadn’t in point of fact made any self-enhancements over the previous couple of billion years, so we thought we would check out our hand at it. 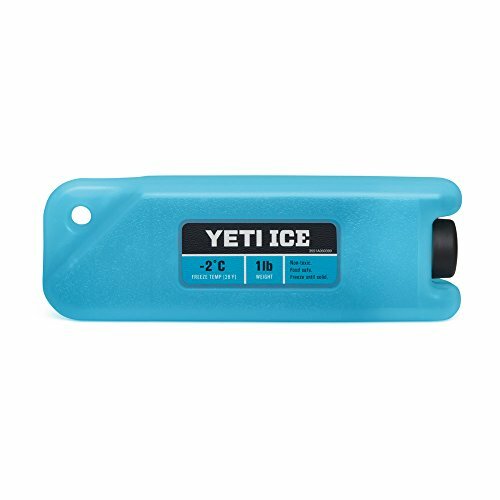 YETI ICE absorbs the warmth on your cooler so your ice and contents keep cold longer. The custom form is helping it freeze faster for quicker use, and it is Affect-resistant so it could accompany you for your wildest adventures. Fight science with science. Stays Cold Longer: chills ice and contents faster and is helping keep your ice chillier longer. Freezes Faster: custom form is helping it freeze faster. Affect-Resistant: designed to resist the hardest of bumps, tumbles, and thuds. No Messy Cleanup: no puddles to empty, simply toss it back on your freezer.